The Females in Training (F.I.T.) program will begin on Thursday, April 4 and continue through Thursday, June 6. The program meets every Thursday at Oakland Mills High School in Columbia, MD from 6:30 pm to 8:00 pm. 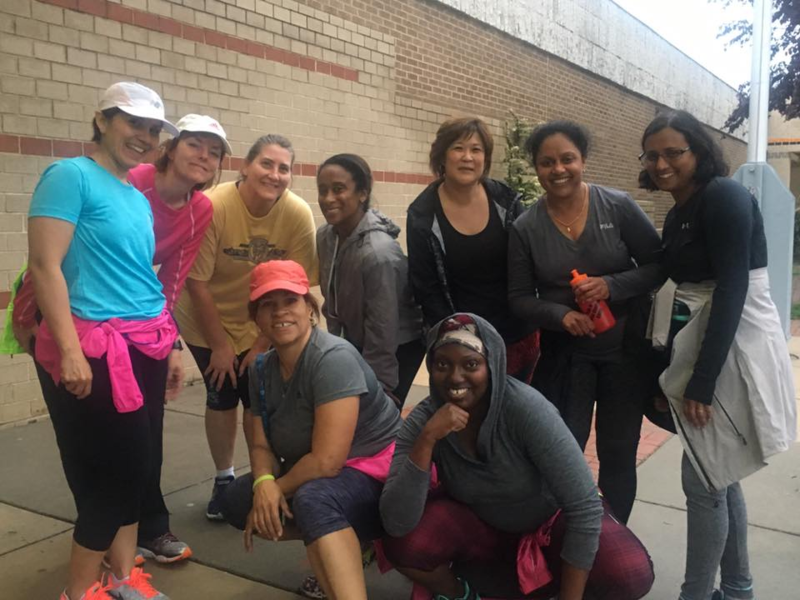 This running program is designed for women of all ages who want to learn to run in a supportive, non-coed environment. F.I.T. is primarily for women who are fairly new to running or who are coming back to running after a long break. The F.I.T. coaches will support and guide you so that you will be ready to run a 5K (3.1 miles) distance by the end of the program. If you are already running, you are welcome to participate as long as you don’t run faster than a 10 minute pace. If you are above this pace or if you have graduated from this program in a previous season, we encourage you to try one of the other Striders programs. Participants will be divided into smaller training groups based upon their current fitness level. If you have a medical condition that limits your exercise, we recommend you discuss this program with your doctor before participating. Weekly workouts will gradually increase in distance and intensity. Pre-run warm ups will take place at the school followed by runs primarily on paved trails or neighborhood roads. In addition, participants are expected to run on two other days of the week. We will help you form meet up groups for those extra running days. Our motto is Fitness, Fun, and Friendship. 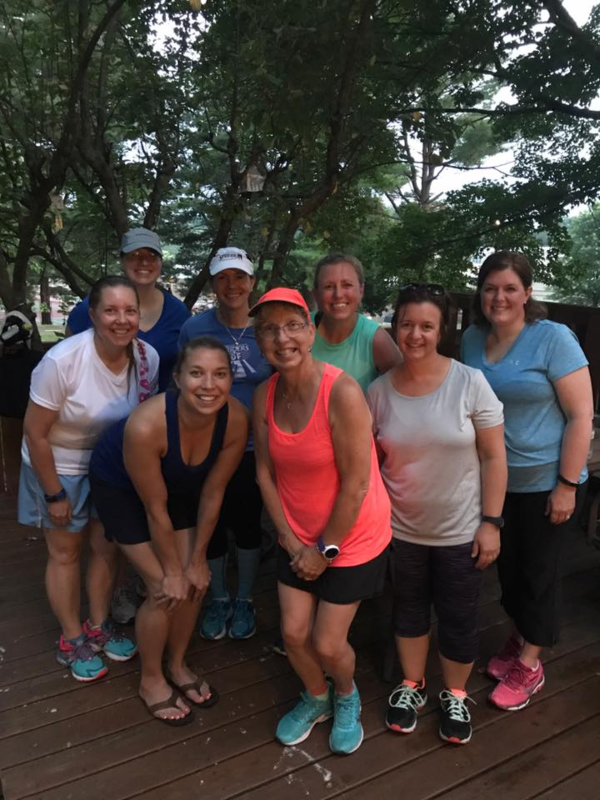 We want running to be a way for you to meet your fitness goals while having fun and developing friendships with women who also are embarking on their running journey. 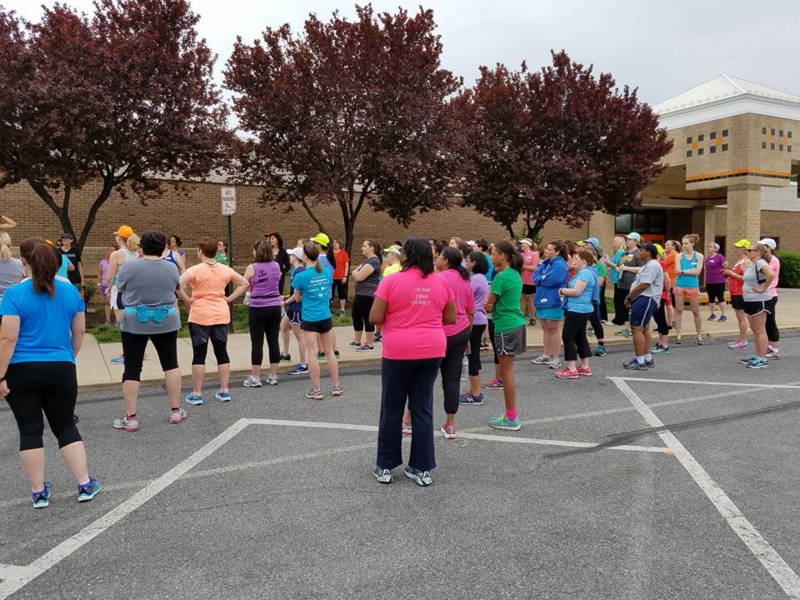 All participants are encouraged to participate in the Striders 5K Women’s Distance Festival which will be held on Sunday, June 9 at Howard Community College. It’s a fun event and a great way to cap off your completion of the F.I.T. program. An orientation program for those new to F.I.T. will be held on Thursday, March 28 at the Feet First store in Wilde Lake Village Center in Columbia. At this session, you’ll learn more about the program, meet some of the coaches and participants, and get answers to your questions. We’ll also have information on how to select proper footwear and other running apparel. This session is not mandatory, but it is highly recommended if you’ve never participated in the F.I.T. program in the past. Special discounts and extended hours will be available that evening to all participants. You’ll receive further details after registering for F.I.T. This is an all-female running group for women 18 and over. Walking breaks or walk/run intervals will be incorporated into the workouts, however, running is the key component of the program. It is not a program for those who wish to walk only. The fee for the program is $50. Those who register by March 8 will pay the early bird registration rate of $45. Please complete your on-line registration prior to attending the first night at Oakland Mills so that we have an accurate count of participants. In addition to the weekly coaching, your fee includes advice from guest speakers, access to the F.I.T. Facebook page, and several Saturday morning practice runs for the Women’s Distance Festival 5K. Also, everyone completing five weeks or more will receive a F.I.T. performance t-shirt! Since F.I.T. is a Howard County Striders program, all participants must be Striders members. Please ensure you are a member of the Howard County Striders (www.striders.net) prior to completing the F.I.T. application. Striders membership ($20) is for a full year effective with your signup date and gives you access to races, training programs, and member discounts at Feet First. Please note, the F.I.T. 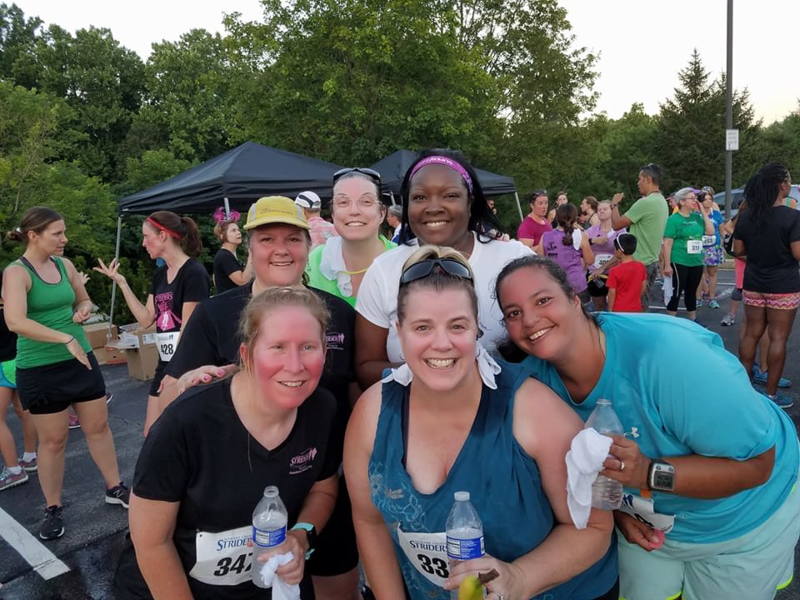 fee does NOT include the registration fee for the Women’s Distance Festival 5K race on June 9 at Howard Community College. 1. You must sign the waiver before participating in F.I.T. A copy can be found on the application form. 2. The F.I.T. program follows the RRCA’s safety rules: NO headsets/i-pods during training runs; NO strollers; NO pets. Please leave children at home as we do not offer child care. 3. For safety reasons, the leadership reserves the right to cancel or alter the schedule for the evening activities if weather or conditions are unsafe. 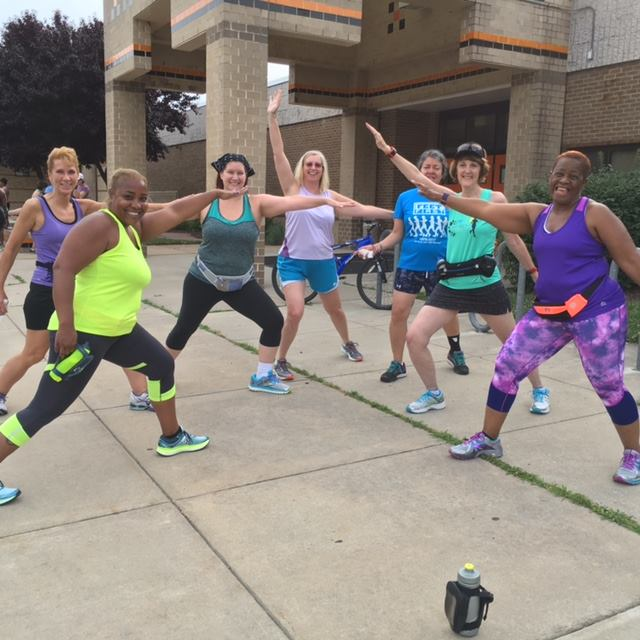 Remember our Motto — Fitness, Fun and Friendship!! Come join us!